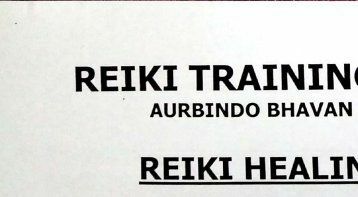 Reiki Level 3 Workshop: B. . . This is your golden chance to be the Reiki master. 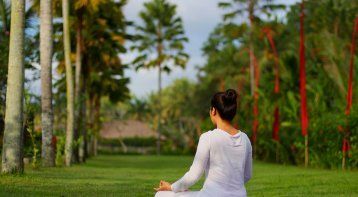 The Master Healer course is a combination of all the powerful advanced healing techniques of Reiki healing. Every subject and healing technique we learn is a complete science in itself. One can choose and specialize in any healing technique and can become master of it. EMPOWER YOURSELF with the powerful Reiki THIRD DEGREE ATTUNEMENT to heal all incurable health and life issues, psychic attacks, and fears. Help self and others to achieve everything we desire - health, wealth, peace, power, love, and spiritual heights. 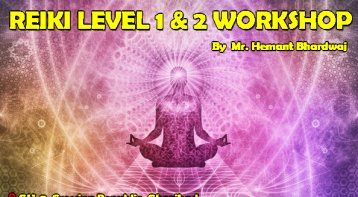 You need to have Reiki Level 2 certificate to attend this workshop. The science of crystal healing and crystal grids. The science of chakra: Various methods of activation through Reiki, symbols, crystals, pyramids, chakra breathing, special sounds, and mantras. 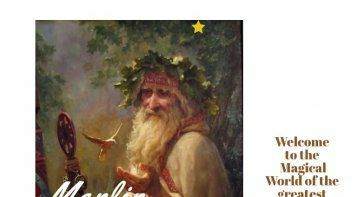 Psychic attack healing and prevention. 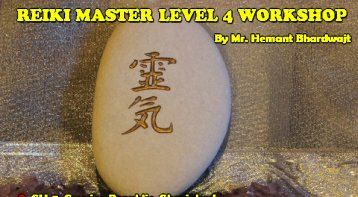 Master symbol and the other 13 symbols: Master symbol is the ultimate highest empowering symbol among all the symbols in Reiki. It is the last weapon used for the bigger task, emergencies, higher protection, activation of inner powers and spiritual upliftments. It also ensures definite achievement of any goal. Chakra and body center: This is a wonderful Diagnostic device. A simple and effective way to scan the exact condition of chakra, internal body organs, energy field, etc. The workshop promises to be a bustling day of exciting activities and learning. The workshop shall include provision of manual and follow up review/certification. So, if you have already reached level 2 of Reiki, you are just one level away from becoming the Master. What's stopping you? 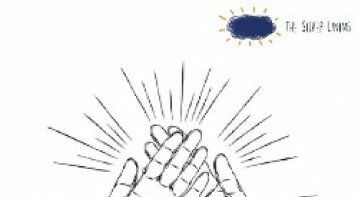 "After reading about Reiki over many months I decided to give it a go! Each session I have had has been different, it is extremely relaxing and has given me a calm peace within. I feel my sleep pattern and persistent headaches have improved greatly. Dr. Rinku is a very caring person who is very passionate about what she does. I have no hesitation in recommending her. I think people should experience Reiki and feel the benefits of this truly self healing service!"